Is HP Inc. (HPQ) A Good Stock To Buy? HP Inc. (NYSE:HPQ) investors should be aware of an increase in support from the world’s most elite money managers lately. HPQ was in 40 hedge funds’ portfolios at the end of December. 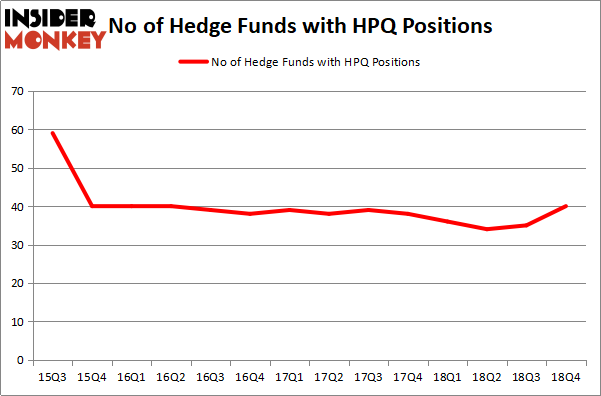 There were 35 hedge funds in our database with HPQ positions at the end of the previous quarter. Our calculations also showed that HPQ isn’t among the 30 most popular stocks among hedge funds. According to most shareholders, hedge funds are perceived as underperforming, outdated investment vehicles of years past. While there are over 8000 funds in operation at the moment, Our researchers hone in on the aristocrats of this club, about 750 funds. 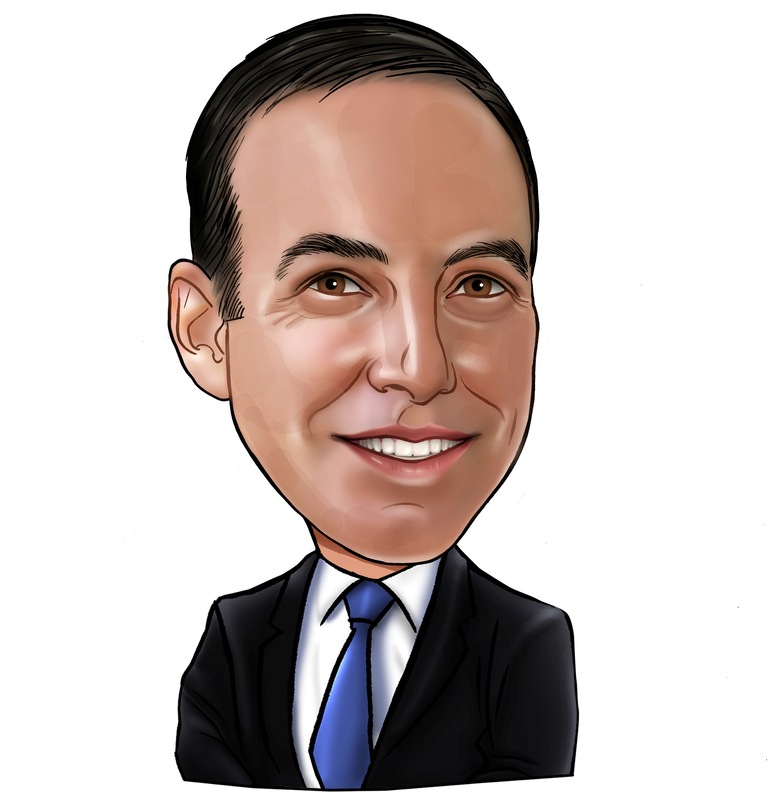 Most estimates calculate that this group of people handle most of all hedge funds’ total asset base, and by watching their first-class stock picks, Insider Monkey has unearthed a number of investment strategies that have historically outrun Mr. Market. Insider Monkey’s flagship hedge fund strategy outpaced the S&P 500 index by nearly 5 percentage points annually since its inception in May 2014 through early November 2018. We were able to generate large returns even by identifying short candidates. Our portfolio of short stocks lost 27.5% since February 2017 (through March 12th) even though the market was up nearly 25% during the same period. We just shared a list of 6 short targets in our latest quarterly update and they are already down an average of 6% in less than a month. We’re going to review the key hedge fund action surrounding HP Inc. (NYSE:HPQ). How have hedgies been trading HP Inc. (NYSE:HPQ)? Heading into the first quarter of 2019, a total of 40 of the hedge funds tracked by Insider Monkey were long this stock, a change of 14% from the previous quarter. By comparison, 36 hedge funds held shares or bullish call options in HPQ a year ago. So, let’s examine which hedge funds were among the top holders of the stock and which hedge funds were making big moves. The largest stake in HP Inc. (NYSE:HPQ) was held by AQR Capital Management, which reported holding $266.7 million worth of stock at the end of September. It was followed by Iridian Asset Management with a $232.6 million position. Other investors bullish on the company included Two Sigma Advisors, Citadel Investment Group, and Millennium Management. As one would reasonably expect, key hedge funds were breaking ground themselves. Arrowgrass Capital Partners, managed by Nick Niell, created the most outsized position in HP Inc. (NYSE:HPQ). Arrowgrass Capital Partners had $6.1 million invested in the company at the end of the quarter. Benjamin A. Smith’s Laurion Capital Management also initiated a $5.6 million position during the quarter. The following funds were also among the new HPQ investors: Andrew Wallach and Jason Ader’s Cumberland Associates / Springowl Associates, Matthew Tewksbury’s Stevens Capital Management, and Sander Gerber’s Hudson Bay Capital Management. Let’s also examine hedge fund activity in other stocks – not necessarily in the same industry as HP Inc. (NYSE:HPQ) but similarly valued. We will take a look at Analog Devices, Inc. (NASDAQ:ADI), Travelers Companies Inc (NYSE:TRV), Applied Materials, Inc. (NASDAQ:AMAT), and Red Hat, Inc. (NYSE:RHT). All of these stocks’ market caps are similar to HPQ’s market cap. As you can see these stocks had an average of 39.25 hedge funds with bullish positions and the average amount invested in these stocks was $2317 million. That figure was $1072 million in HPQ’s case. Red Hat, Inc. (NYSE:RHT) is the most popular stock in this table. On the other hand Analog Devices, Inc. (NASDAQ:ADI) is the least popular one with only 23 bullish hedge fund positions. HP Inc. (NYSE:HPQ) is not the most popular stock in this group but hedge fund interest is still above average. This is a slightly positive signal but we’d rather spend our time researching stocks that hedge funds are piling on. Our calculations showed that top 15 most popular stocks among hedge funds returned 19.7% through March 15th and outperformed the S&P 500 ETF (SPY) by 6.6 percentage points. Unfortunately WFC wasn’t in this group. Hedge funds that bet on WFC were disappointed as the stock lost 1.7% and underperformed the market. If you are interested in investing in large cap stocks, you should check out the top 15 hedge fund stocks as 13 of these outperformed the market. Were Hedge Funds Right About Dumping FedEx Corporation (FDX)? Is Illinois Tool Works Inc. (ITW) A Good Stock To Buy? Were Hedge Funds Right About Getting Into Bank of Montreal (BMO)? Were Hedge Funds Right About Ecolab Inc. (ECL)? Were Hedge Funds Right About Selling Northrop Grumman Corporation (NOC)? Is Vertex Pharmaceuticals Incorporated (VRTX) A Good Stock To Buy?